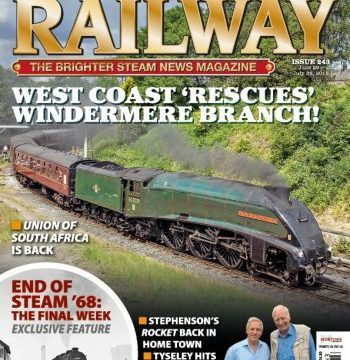 West Coast Railways saves the day in ‘takeover’ of Windermere branch after Northern Rail services halted; Former Hornby HQ now houses full-size electric trains as well as A4 Bittern; Talyllyn runs live on internet; touts selling tickets for Flying Scotsman Nene Valley specials and an MBE for Railworld volunteer. Passenger train back at Slaggyford after 42 years; Stephenson’s Rocket back in home town; Channel 4 show brings four coaches back from the dead; new head for Locomotion; MP angers Rother Valley-KESR link supporters; Churchward centenarian returns to Severn Valley service; Chasewater celebrates 50 years; Princes Risborough main line interchange opening; Seaton Tramway opens new terminus; builder sought for new Gresley P2 No. 2007 Prince of Wales boiler and Calder Valley DMU steals the show at the Llangollen Railway gala. 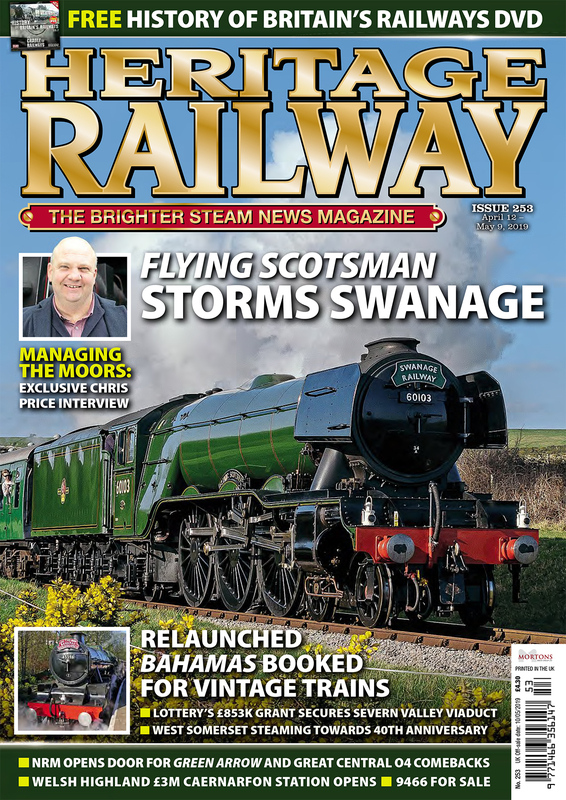 Vintage Trains tops £800k target to launch new Train Operating Company; new main line DMU services running into Corfe Castle; Union of South Africa is back and Railway Touring Company cancels end of Southern steam special. 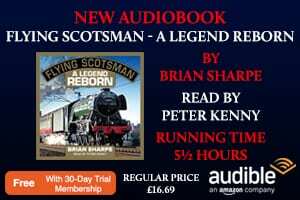 Don Benn reports on Clan Line’s stunning performance on the ‘Torbay Express’. Oliver Cromwell on Stanway viaduct. Guide to the railways running in July 2018. BR steam came to an end on Sunday, August 4, 1968. 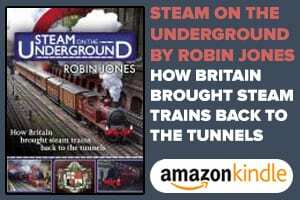 Trevor Gregg remembers the final week of steam operations and the specials that ran to mark the end of steam. Several railtours were run to mark the end of BR steam on August 4, 1968. Chris Scott, then aged 22, travelled on one of the trains and this is his account of the day, written soon after the event. Gareth Evans talks to eight heritage railways operating low-cost driver experience courses for £20 and under and learns about their approaches and what they can offer would-be participants in the hope of inspiring others to ‘have a go’. One of the Severn Valley Railway’s forgotten gems recently celebrated its milestone with an open weekend. Paul Appleton went along to find out more. The Gloucestershire Warwickshire Railway’s opening of the long-awaited northern extension to Broadway has reaped rich dividends for the heritage line. Robin Jones visited the landmark Give My Regards To Broadway spring bank holiday Cotswold Festival of Steam. 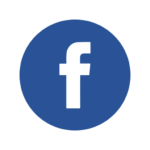 The Isle of Wight Steam Railway celebrated the restoration of three Ivatt locomotives. Brian Sharpe reports on the gala weekend that saw the three 2MTs in steam together for the first time. 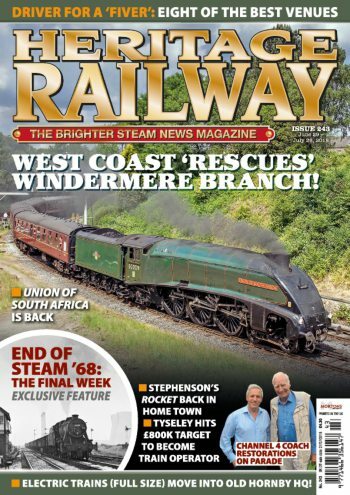 Issue 244 of Heritage Railway will be on sale July 27 – order your copy now!